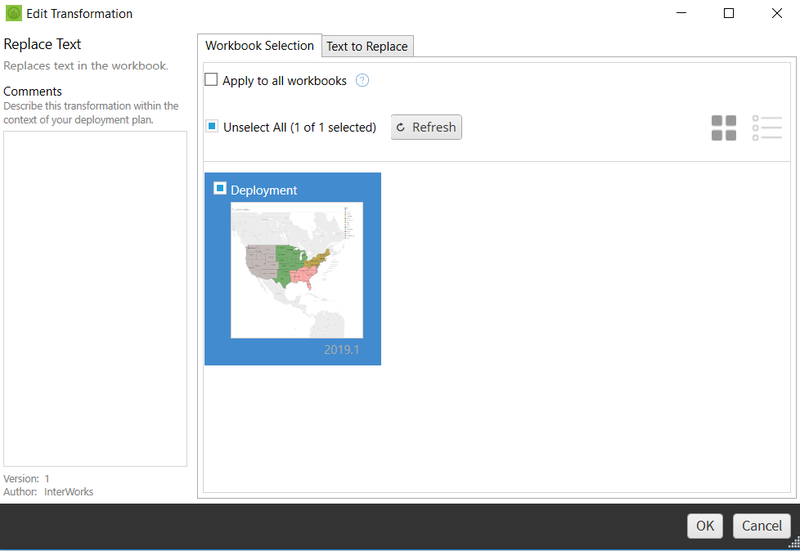 Version 1.36 is a feature release for Power Tools: Deployment application. 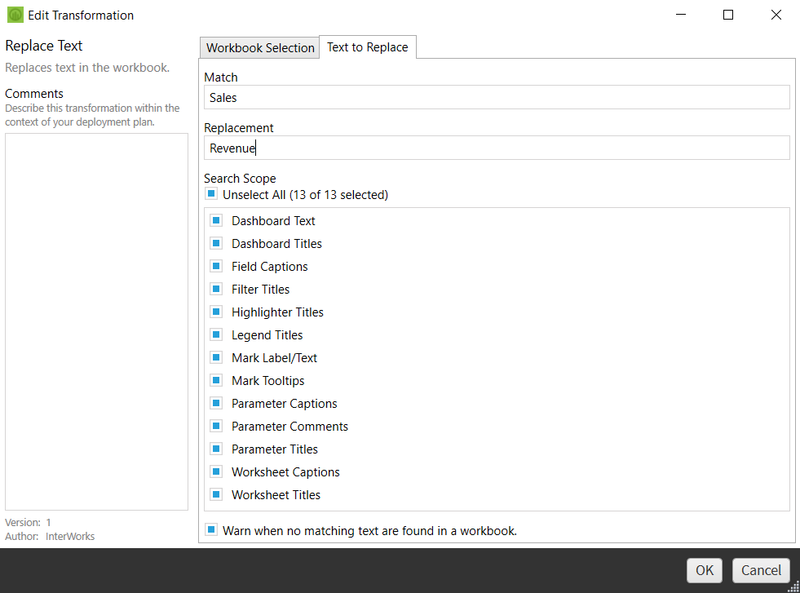 Added a new “Replace Text” workbook transformation to find and replace text in one or more areas of the workbook. 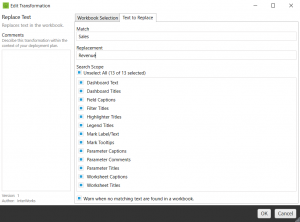 Added the ability to set the encryption mode for Teradata connections in the “Set Connection Info” transformation. ← Power Tools for Tableau Server v1.8 Released!